Save 50% on select microfiber towels from 9/15/2018 through 9/18/2018 with no coupon code required. 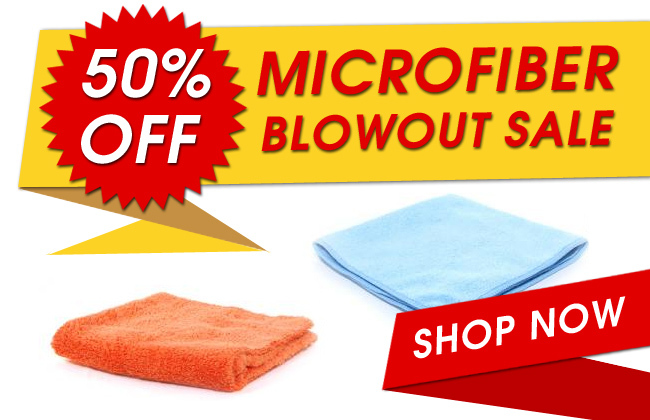 Stock up microfiber and save now! Also save on shipping by using one of our DI Ship & Save codes or by selecting one of our fast, low-cost USPS options. Get $4.99 Shipping when you spend $49 using coupon code DI499 and Free Shipping over $149 using coupon code DIFree. Guaranteed 1-3 Day Delivery is also available with select services.